When selling a business, it is important to understand the M&A Sale Process. 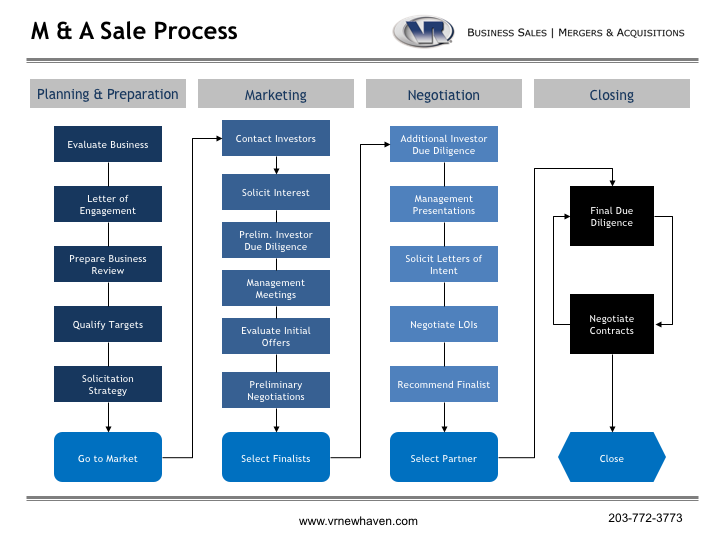 The step by step M&A Sale Process Flowchart below helps to give context to the process, demonstrating the many steps and phases needed for a successful sale. Click the image below to save or print the PDF.